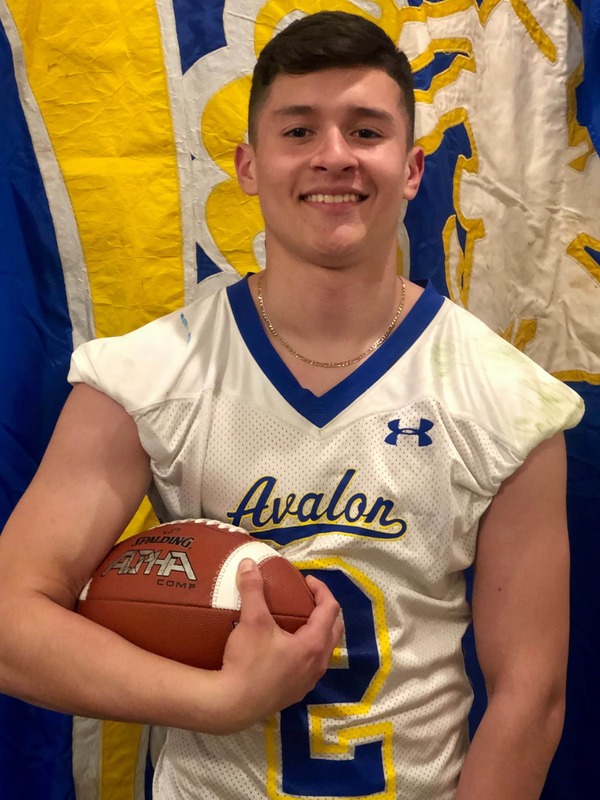 Though Adelberto “Beto” is a captain on Avalon High’s football, basketball and volleyball teams, he says football is his number one priority. Photo by The562. Santa Catalina Island is less than 30 miles off the coast of Long Beach, and the 75-square-mile island, with a population of about 5,000, is geared for resort living. Although it may look like an idyllic place to escape to, it can feel like Alcatraz for an ambitious high school student-athlete. Adalberto “Beto” Martinez is a captain on the football, basketball and volleyball teams at Avalon High— total enrollment, 400— and his dreams of studying math and playing football at the University of Southern California are a little harder to fulfill. The challenges facing Martinez are nothing new to Avalon High principal Cheryl Savio. Without specialized coaching or participating in club showcases, Martinez is technically behind other mainland athletes his age. However, he also doesn’t have to deal with the distractions of the talent development industry, and he’s got an entire island supporting him. Martinez was born in Long Beach, but he’s always lived on Catalina, and he has 75 direct family members in Avalon. His mom, Ana Belen Perez, knows that number off the top of her head because she’s always organizing family gatherings. It seems silly to call them reunions since they happen so often. Following in his older cousins’ footsteps, Martinez played a lot of sports growing up, but his first love was football. He started flag football when he was in third grade and a Pop Warner road game a few years later was his first experience on the mainland. Back on the Catalina Express passenger ferry heading home, Martinez also remembers dreading docking in Avalon. Along with enrolling him in every sport she could find, Perez made sure to teach her son to enjoy the outdoor activities that island life had to offer. Catalina offers a wide range of activities for a young, athletic person; everything from running to snorkeling, hiking, biking, spearfishing and canoeing, to name a very few. “But if that doesn’t interest you, or you never had anyone show you how, you’ll find yourself getting bored very fast in a resort community,” Hobbs said. There’s very little time for Martinez to be bored. During the spring semester, he gets out of school around 3 p.m. and immediately goes to the football field to run routes and work on his speed. Martinez goes back to volleyball practice until 7 p.m., and then he caps his day by lifting weights with his football teammates before getting home around 10 p.m. 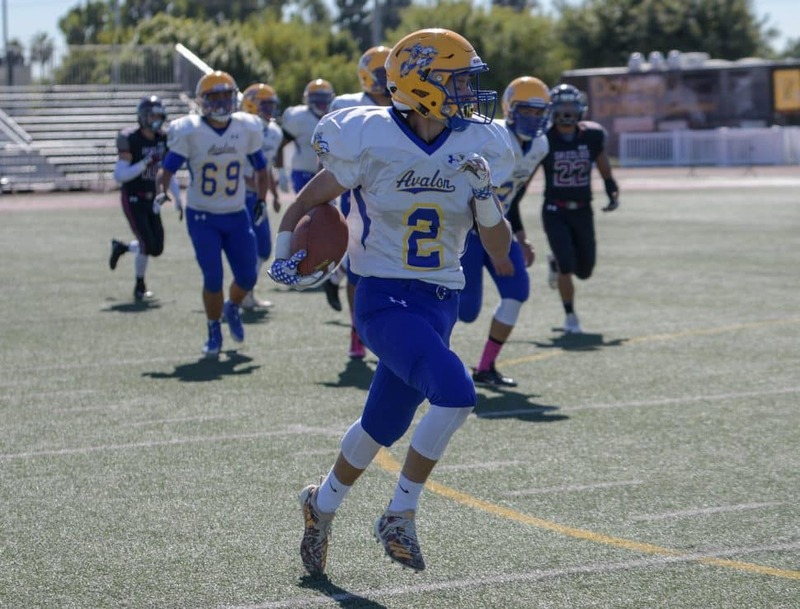 The 6-foot, 175-pound Martinez made a name for himself as a wide receiver with Avalon Pop Warner, and came into his freshman year at Avalon High ready to contribute to the team that had won a CIF Southern Section 8-man championship the year before. The biggest challenge for Martinez was finding a leadership role as a freshman with his new squad full of experienced seniors. Martinez scored eight touchdowns last season while the Lancers went 9-2 and reached the CIF 8-man Division 1 quarterfinals. Although he also plays basketball and volleyball at Avalon, Martinez said his number one priority is football. Martinez fills his days on the island with sports, no matter what. He watches ESPN more than any other channel, his favorite movie is “Friday Night Lights” and his only recreational reading is online sports articles. “Sports are my life,” Martinez said. Soon, that life will be able to flourish somewhere new.